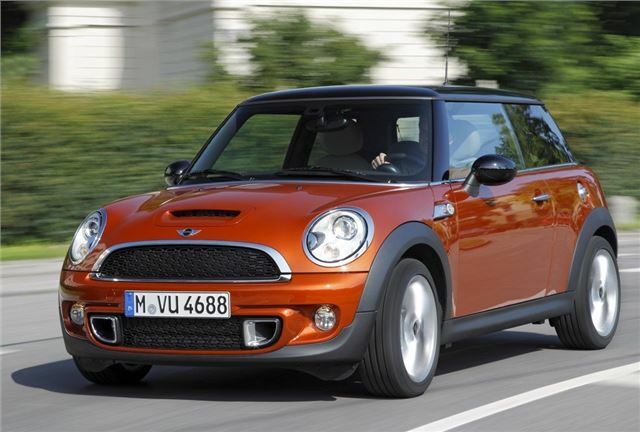 MINI is set to launch the most powerful diesel MINI yet in the shape of the Cooper SD. Powered by a new 2.0-litre 143bhp diesel engine it's available in all body types - Convertible, Clubman and Countryman and promises strong performance with low fuel consumption. On sale in March, it coincides with the launch of several new special edition models. But it's the MINI Cooper SD that will get the attention. Not only will it be the most performance-oriented diesel MINI, but it features the largest displacement engine ever to grace a MINI model in the marque's 52 year history. The 2.0-litre four cylinder unit produces 143bhp at 4000 rpm, almost 28 per cent more than the Cooper D and nearly 60 per cent above that of the One D. Along with 305Nm of torque (available from 1750 to 2700 rpm) it gives strong perrformance. The hatch version has a 0-62mph acceleration time of 8.1 seconds. All Cooper SD models are also equipped with the full MINIMALISM technology which includes Brake Energy Generation, Auto Start/Stop, Shift Point Display, Electric Power Steering and demand-based ancillaries such as the alternator. This helps give it a claimed fuel economy average 65.7mpg while it emits just 114g/km of CO2. All Cooper SD models are equipped as standard with a new super light six speed manual gearbox. A six speed automatic transmission is available as an option and includes shift paddles on the steering wheel. Echoing the style of the MINI Cooper S all SD models display a front apron with an extra large air intake and the familiar air scoop on the bonnet. At the back there are sports twin exhaust tailpipes exiting in the centre of the rear apron and an eye-catching roof spoiler. Meanwhile from April 2011 a Sports Pack, closely aligned to the JCW models is available for all models of the MINI Hatch and Convertible. The Sport Pack gets a unique front and rear apron with black detailing, horizontal slats on the fog lamp surrounds and a honeycomb mesh over the main air intake. Inside there is a JCW black sports leather steering wheel with contrasting red stitching. Manual gearbox examples continue the red theme with a red shift pattern on the gear knob and matching red stitching on the leather gear lever and handbrake gaiter. Cloth-leather sports seats, a Sport Button, Piano Black Interior trim, white indicators and bonnet stripes are also included. The Sport Pack comes with Dynamic Traction Control (DTC) and Electronic Differential Lock Control (ELDC) along with the standard Dynamic Stability Control (DSC) system. DTC allows more wheel slip before the electronics intervene to allow the driver more control at the touch of a button when pulling away on slippery surfaces. EDLC also enhances the driving experience by braking a spinning wheel in tighter corners, thereby enhancing traction and increasing cornering speed. From March 2011 all MINI Special Editions will be named after London boroughs, districts and landmarks, the first of these is the MINI Clubman Hampton, named after Hampton Court. The MINI Clubman Hampton (below) is painted in Reef Blue Metallic, a colour specially developed for this edition, with a black roof and rear door surrounds. Inside there are exclusive black leather seats edged in Damson Red piping and feature a seat tag with an 'H' seat tag. The Damson colour theme is repeated on the bonnet stripes, a pinstripe around the mirrors and in the piping and stitching on the floor mats to highlight the satellite Grey or Carbon Black colour line and the Anthracite headlining. The instrument faces are in Anthracite, like JCW models, while the Central Speedo is also surrounded by a Damson Red ring. The new 2.0 litre engine and optional automatic gearbox will be fitted to the Cooper D models from March 2011, although power and torque outputs will remain at former values. Sparkling Silver and Pure Silver will no longer be available as paint finishes across the MINI range, being replaced with Velvet Silver and Ice Blue.